VOTE EARLY, VOTE OFTEN, VOTE REYES. In Pittsburgh, the Pirates fan sitting next to me got up and yelled, “JOSE I HATE YOU” every time Jose was at bat. After he’d had a few beers, he confessed to me that he actually owned a Jose Reyes player number shirt. Mike Petriello, of Dodgers blog Mike Scioscia’s Tragic Illness, stated, “Is there even a question? Hanley’s been awful, Tulo’s been good but not as good as usual, Starlin’s fine. Reyes is class of NL SS.” (Click through to see his awesome Twitter wallpaper that a Mets fan can definitely get behind. Vote for your METS All-Stars today and win an opportunity to meet Jose Reyes! 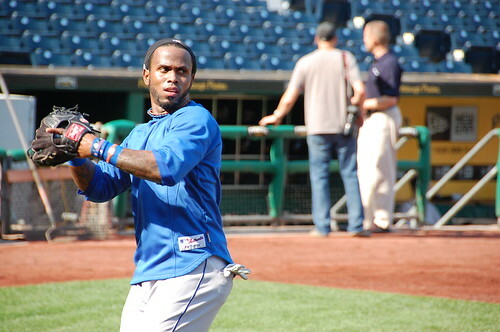 Winners will receive two (2) tickets to an upcoming game in 2011 where they will meet Jose Reyes before the game. You must vote at least 20 times and select the METS as a “favorite” or “other favorite” Club to be entered to win.